Assoc Prof Yvonne Lam received her BSc. degree from Aston University in Birmingham (UK) in 1982 and both her M.Sc. and PhD from University of Southampton (UK) in 1989 and 2002 respectively. Upon her graduation, from 1982 to 1984 she was employed by Telecoms (Singapore) as an Engineer. 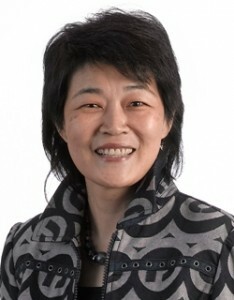 From 1984 to 1987, she worked first as a CAD engineer, then a Bipolar IC Designer with SGS (now known as SGS-Thomson Microelectronics) Asia Pacific Design Center. Since 1987, she has been with Nanyang Technological University, Singapore. 1. Yuan C and Lam Y. (2012). Low-energy and area-efficient tri-level switching scheme for SAR ADC.Electronics Letters, 48(9), 482-483. 2. Chao Yuan and Yvonne Lam. (2011). 2011 IEEE 9th International New Circuits and Systems Conference, NEWCAS 2011: A Novel Low-voltage Low-power SAR ADC for biomedical applications. 2011 IEEE 9th International New Circuits and Systems Conference, NEWCAS 2011;Bordeaux (pp. 101-104). 3. Chao Yuan and Yvonne Lam. (2011). 2011 IEEE International Conference on Integrated Circuit Design and Technology, ICICDT 2011: An ultra-low energy capacitive DAC array switching scheme for SAR ADC in biomedical applications. 2011 IEEE International Conference on Integrated Circuit Design and Technology, ICICDT 2011;Kaohsiung (pp. 1-4). 4. Soon Lan, Chao Yuan, Yvonne Lam and Liter Siek,. (2011). 2011 IEEE 54th Midwest Symposium on Circuits and Systems (MWSCAS),: An Ultra Low-Power Rail-to-Rail Comparator for ADC Designs. 54th IEEE International Midwest Symposium on Circuits, Seoul, SOUTH KOREA (pp. 1-4)Seoul , Korea. 5. J. H. Cheong, Y. Y. H. Lam, L. M. Koh, and K. T. Tiew. (2009). 3rd International Conference on Bioinformatics and Biomedical Engineering: Sigma-delta Receive Beamformer Based on Cascaded Reconstruction for Ultrasound Imaging Application. (pp. 1-4)Beijing: IEEE Explore.